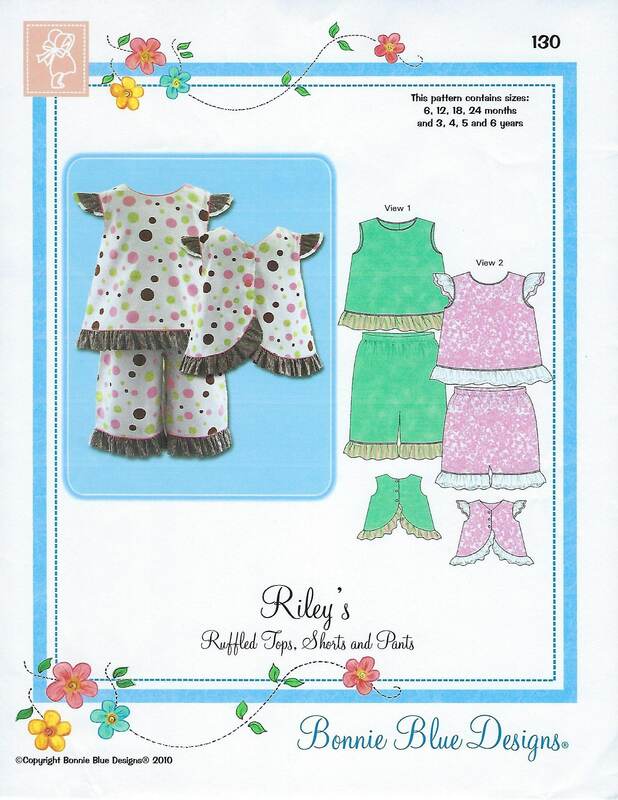 Package includes patterns and instructions to make Ruffled Tops, Shorts & Pants. Tops have round or V-Back neckline with curved button back closing. Optional shoulder ruffle or double shoulder ruffle. Top is ideal location for matching machine embroidery. Ruffled shorts and mid calf length pants. "Piping How To's" and "How to Make Piping" instructions included! 6 mo, 12 mo, 18 mo, 24 mo, 3 yr, 4 yr, 5 yr, 6 yr - All sizes included in one envelope.